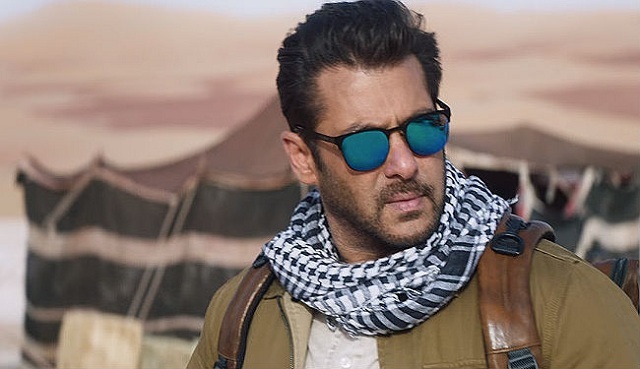 Tiger Zinda Hai 20th Day (3rd Wednesday) Box Office Collection. Stays Solid! Tiger Zinda Hai has remain steady on 3rd Wednesday (20th day) at box office with a nominal 10% drop. Film literally remained rock solid in metros and big cities. It was interior where film registered drop. Otherwise collections are near about similar. Tiger has collected an approx 2.3 crore nett on day 20. Film total business currently stands at approx 316.7 crore nett. Film third week collection is heading towards 27.25 crore nett mark. Film is on track to overhaul Bajrangi Bhaijaan lifetime collection. That should be achieved on 4th Friday or 4th Saturday. Tiger lifetime collection is trending towards 335-340 crore nett mark right now. Whether film can challenge PK lifetime business that will depend on how film stands against the likes of Kaalakaandi and Mukkabaaz releasing this Friday. Total - 316.7 crore nett (approx). Kitna bhi fake figures do pk to is janam me tod nahi payega lallu..
#PK tumse beat nahi hoga..
tu kyu aisi taisi mra rha h yaha phir,agar fake h toh,,sharam tujh jaise ko aani.7 saal se negativity spread kr rha h..phir bhi kuch ukhaad paye sallu ke stardom or uske fans ka. uski movie isme hi 300 cr plus .kr rhi h,agar new laya toh tingu ki toh chutti ho jayegi,bole toh loot jayega,gotiya.celebration kr toh ki hawaa nikal ne wali h..
#TigerZindaHai Fri 3.72 cr, Sat 5.62 cr, Sun 8.27 cr, Mon 2.72 cr, Tue 2.56 cr, Wed 2.30 cr. Total: ₹ 316.74 cr. India biz. #TZH... BLOCKBUSTER. Kuch logo ko Salman bhai ki success hajam he nhi ho rhi.